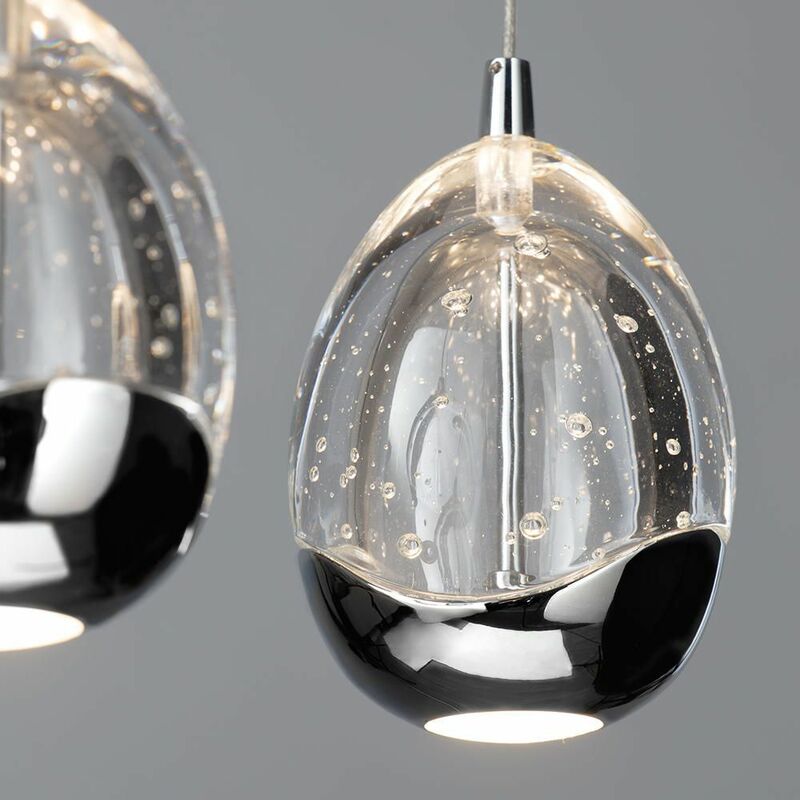 Revolutionary LED lighting doesn’t have to be boring. 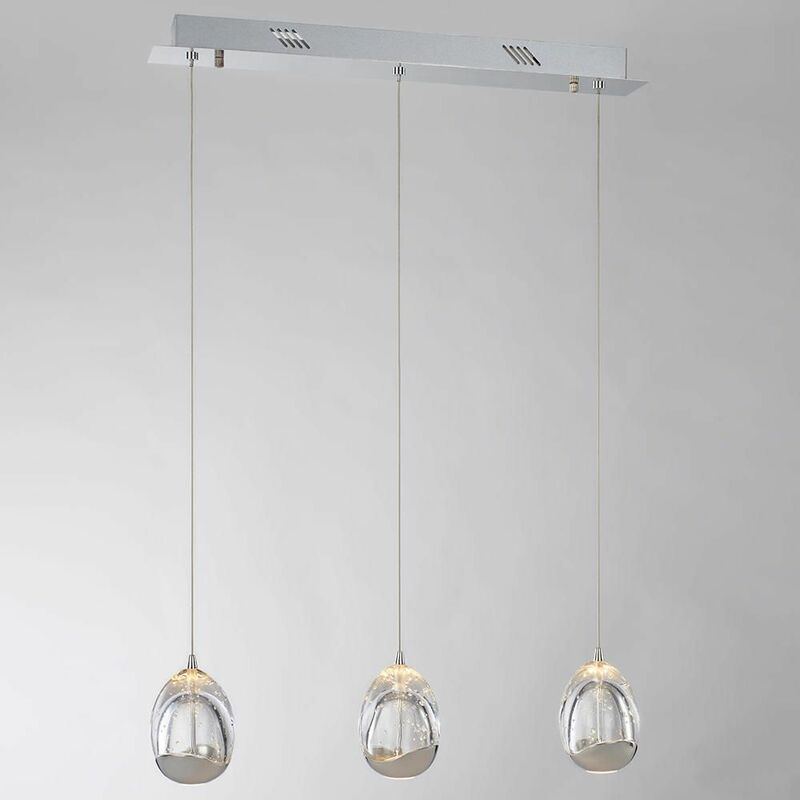 The Bulla 3 light pendant ceiling light from the Visconte collection provides contemporary and energy efficient illumination with a stylish flair. 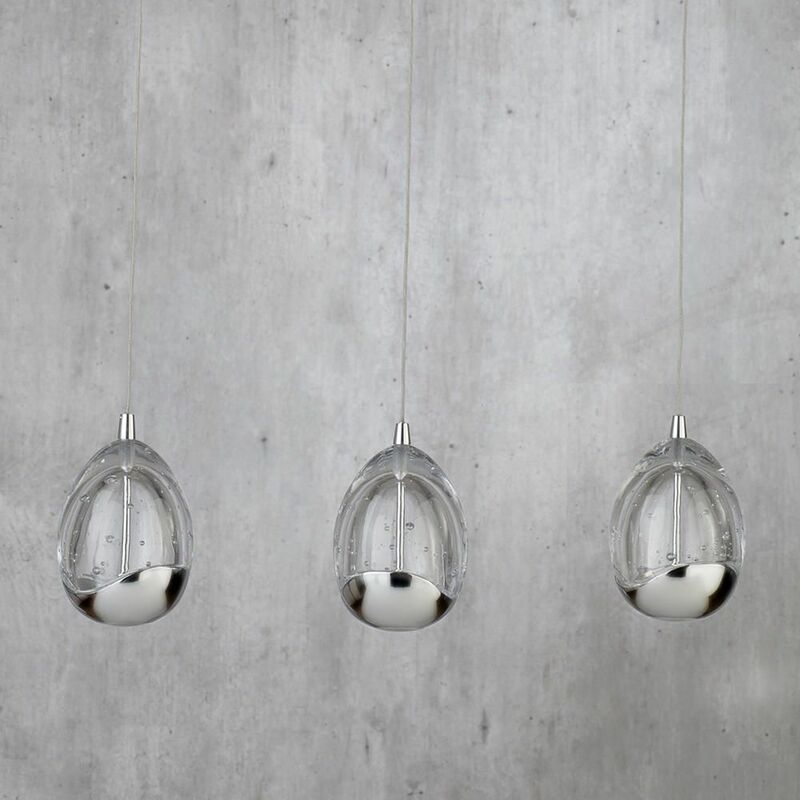 Three futuristic oval-shaped lamps with silver bottoms are elegantly suspended from a sleek chrome ceiling bar. 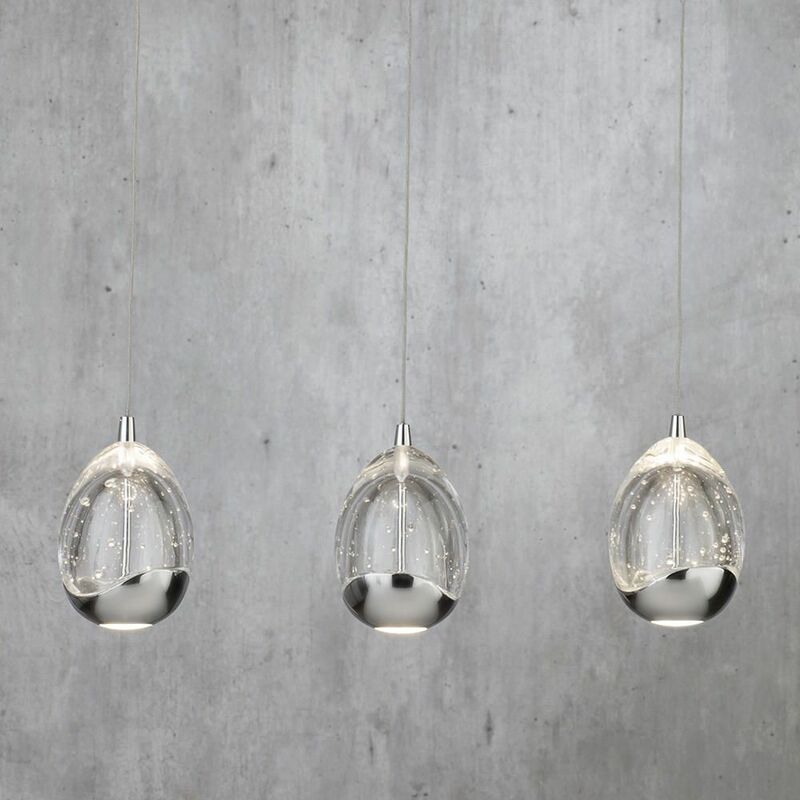 Each shade hangs from a single cord which can be adjusted to allow for a customisable drop to a maximum of 120cm. 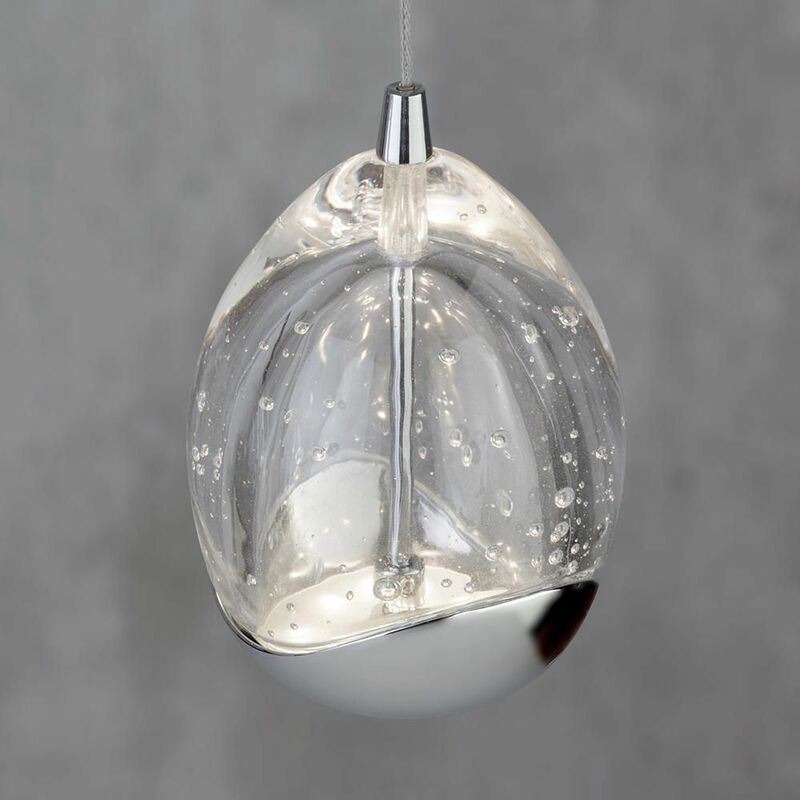 Three energy saving LED bulbs inside each lamp radiate with a warm white glow to illuminate your living space. 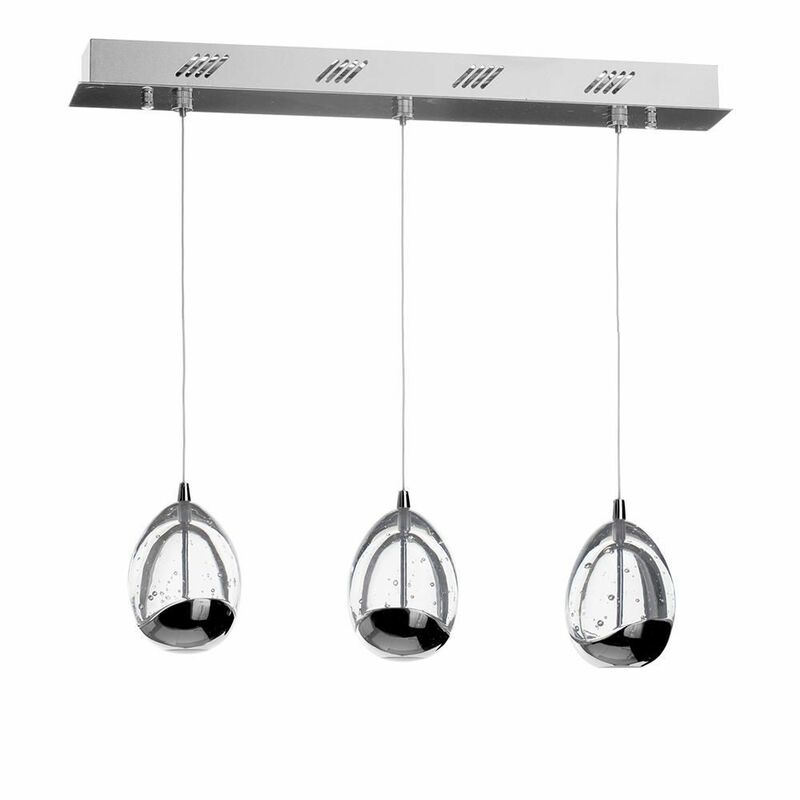 Hang the Bulla 3 light ceiling pendant above a dining room table for an uber-modern display of light.